What do you understand by the term Social Media Marketing? 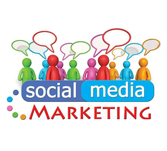 The website traffic is drived through the social media site which is known as Social Media Marketing(SMM). Some of the popular social media platforms are Facebook, Twitter, LinkedIn Google+ etc which are usually used for creating awareness of the products and services offered by the business and also used for promoting the business. Who are the audience for learning the concept of Social Media Marketing? This tutorial is mainly targeted for the advertising professions and those who desire to make a career in Digital Marketing. On completion of this tutorial, one can comfortably become an expertise in Digital Marketing. What are the prerequisites required for learning Social Media Marketing? Good knowledge and understanding of some of the fundamental concepts like marketing, advertising is essential for understanding the concept of Social Media Marketing. The concept of product and audience analysis is also required to better understand the concept of Social Media Marketing.